Has the Horse proposed for insurance suffered any injury, illness or disease which required veterinary attention? Has the Horse proposed for insurance suffered any injury, illness or disease which did not require any veterinary attention? You declare that the Horse proposed for Insurance is currently in a sound state of health? Do you own any other horses which are currently not insured with Petplan? Does the sum insured reflect the current full market value of the horse? Is purchase price less than sum insured or is the horse home bred? Has the Horse proposed for insurance shown any aggressive tendencies or have any vices? Will the horse proposed for insurance be transported by a commercial transport company within the next 14 days? 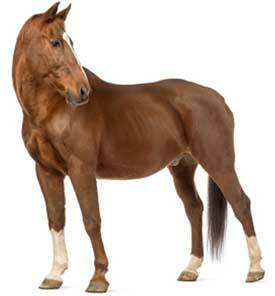 Is the horse proposed for insurance currently subject to a lease agreement or trial period? Has Saddlery and Tack proposed for insurance have any damage ? Does the Horse Float proposed for insurance have any damage? Has any insurer declined or refused renewal or required special premium or imposed any exclusions on a similar insurance policy ? Do you own any other horese which are currently not insured with Petplan?